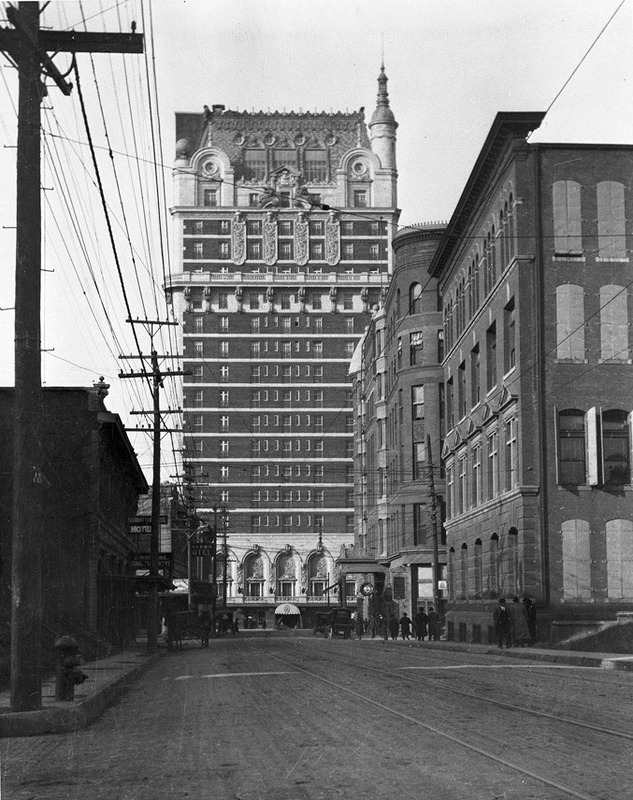 The spooky Adolphus circa 1913. From the collections of the Texas/Dallas History and Archives Division, Dallas Public Library. On a scale of 1 to 10, 1 being "not particularly ghostly," 5 being "somewhat ghostly," and 10 being "I feel my blood chill at the very thought of that cursed place." Now that it’s October, an entire month made spooky by virtue of Halloween, it seems like an opportune time to ask: How haunted is the Adolphus Hotel in downtown Dallas? Officially. Numerically. On a scale of 1 to 10. Point No. 1: HauntedRooms.com, probably an authority on the subject, puts the finger on the ghost of a “jilted bride” from the 1930s, whose spectral appearances are “often accompanied by the sound of a music box…” Apparitions and auditory hallucinations have also been reported by guests and hotel staff. Point No. 2: I have a friend who once got stuck on an elevator at the Adolphus for a little less than 15 minutes. She relayed her experience to a live audience on Snapchat, and it made my blood run cold. Point No. 5: If you spent one night at such a luxurious hotel, you’d never want to leave either! Ha ha! Please vote below, using a number between 1 through 10, or the number 1, or the number 10, in the comments. Thank you. Have a spook-tacular day.